Why pay for expensive security systems? Do you have a spare phone, tablet or laptop that you always leave at home? Now there’s a way you can put it to good use! 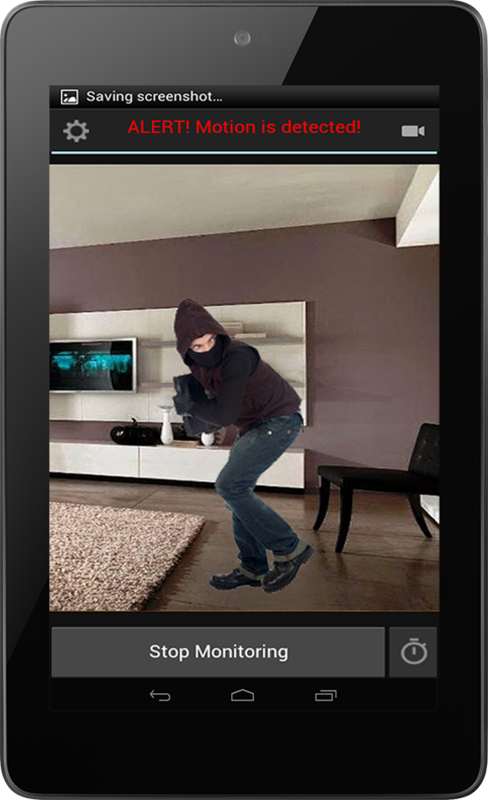 The easy-to-use Home Eye app can turn your device into a home security camera. You get a genuine video surveillance system without having to pay a penny for DVR systems or IP cameras. The only thing you need is in your home already. Why do you need Home Eye? Perhaps, we all have a “smart” device, that we always leave at home: an old smartphone, tablet, laptop or personal computer. Home Eye application allows you to use these devices in a completely new way – as home security camera, for protection against wrongdoers. Install Home Eye on your smartphone or computer, turn on the Monitoring function in the app. That’s ready! If any suspicious movement is detected, Home Eye will turn on siren (loud sound), will create photos of the incident, and finally send a notification to your present phone. Having connected to the video stream remotely, you will see what’s happening. Any parent knows very well that small children should not be left at home unattended. Even if you are in the next room, you can not be sure of what the child is doing at the moment. At the same time, you may have your domestic chores, and it’s just not possible to keep an eye on your kid all the time. What to do? 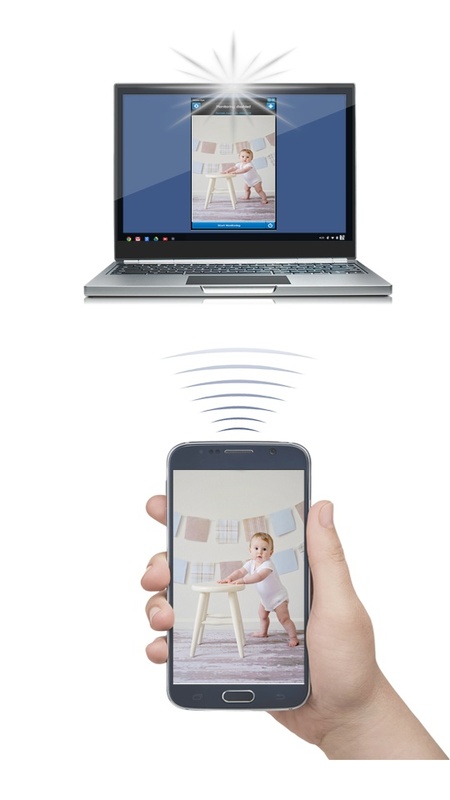 To solve this problem, you can buy a nanny cam – a special surveillance camera installed in the children’s room, and allowing you to monitor the child remotely. But at first, take a look at Home Eye – a FREE app that completely replaces a nanny cam. Just install the application on your old smartphone or laptop, put the device in the children’s room. Now you can watch your child from anywhere in the house, and even from the street. To do this, the application should be installed on your present phone as well. Elderly people need periodic supervision. Unfortunately, we can not be near our parents all the time, while the purchasing and installation of a video surveillance system can be too costly. But there is a FREE solution! Install the Home Eye on any spare phone, and leave it operating in Camera mode at the parent’s home. Now you can connect remotely from your current phone, and make sure everything is OK. Integrated two-way audio channel allows you to talk to your parents and to learn about their well-being. Thank God, now you don’t have to teach elderly people to work with Skype. You are able to start communication unilaterally, at any time. Check up on workers at your business. If you are a boss, you know how difficult it is to control your staff. You can’t know for sure what your employees are doing when you are away. Do they continue to work hard? Are they slacking? The Home Eye application installed on one or more computers will become your eyes and your ears. 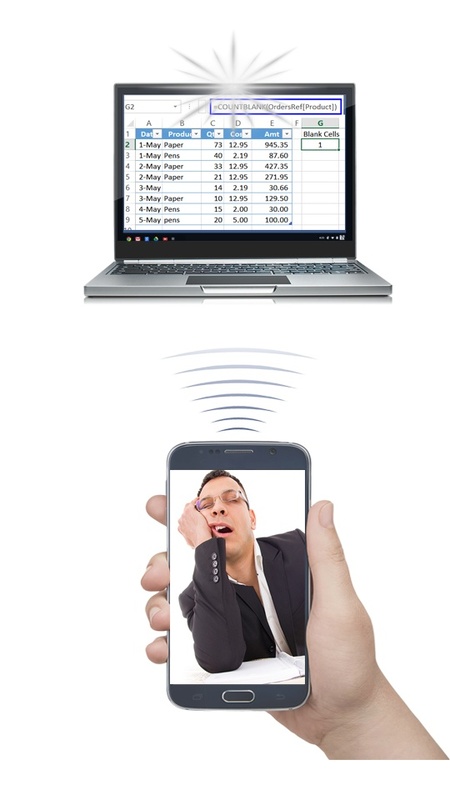 Wherever you are, with the help of Home Eye you can connect to the webcam on the employee’s computer, and check what he/she is doing at the moment. Once your employees understand that they are constantly under your supervision, they will stop wasting working time. As result, the labor productivity will increase noticeably. Just like the discipline in your team. Home Eye is designed for Andoid and Windows. 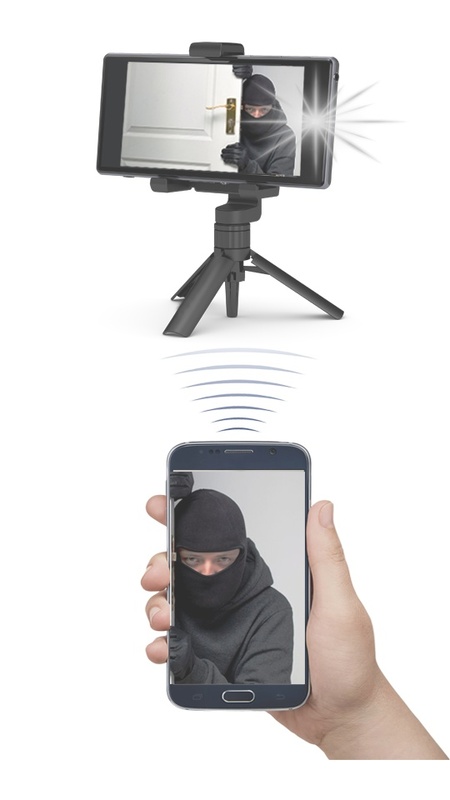 For video surveillance, the app uses a phone camera or a webcam connected to a computer. 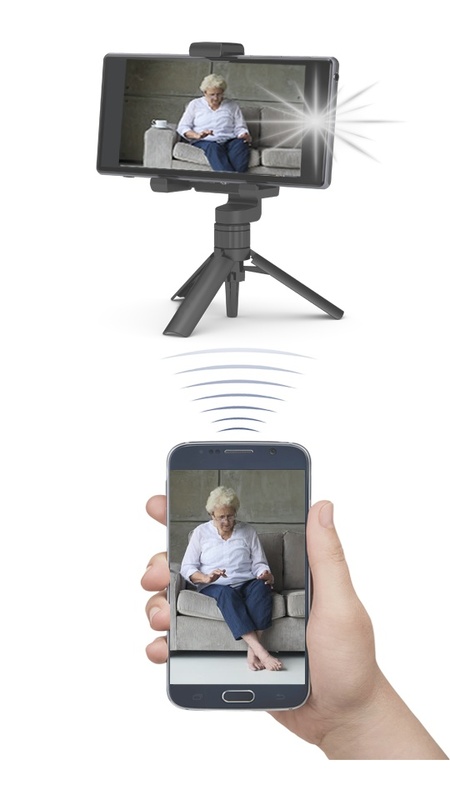 Any other device can be used to remotely view the video stream from the first device. Thus, your devices can work in the following pairs (Streamer -> Viewer): Phone -> Phone ; PC -> Phone ; Phone -> PC; PC -> PC. The application is able to detect movements in the monitoring zone by analyzing the video stream received from the device’s camera. The Sensitivity of detector, the Frequency of processing of the video signal and the Tolerance are variable values. They allow you to configure Home Eye flexibly, so that the minor deviations (e.g. sun glare) will be ignored. When Home Eye detects movement, the incident should be recorded. 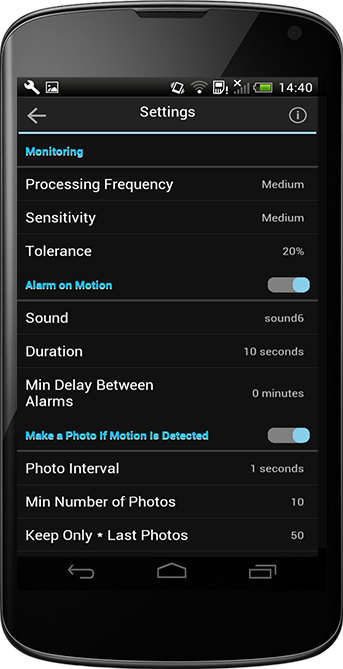 To do this, Home Eye creates the photos of the incident with the specified frequency. The created snapshots are automatically uploaded to the cloud storage, so you can be sure in the safety of the files. As a rule, the activated alarm can scare off thieves. For this purpose, the application provides a function of Siren. When motion is detected, the Home Eye turns on a loud signal, a sound that simulates an alarm. It will play until the movement stops, and a few seconds after that. There are 6 variants of the siren sound to choose from. When the motion detector is triggered, it is important to learn about the incident as soon as possible. That’s why Home Eye provides several ways of notification. Firstly, the Home Eye can send a push notification to your mobile phone. Secondly, it is able to send an email to the specified email address. And finally, Home Eye can make a call to the specified phone number. It is not necessary to manually start and stop monitoring every day. In the Home Eye settings, you can set the start and end of monitoring for each day of the week. Home Eye will do the rest, automatically. You can also use the delayed start of monitoring. For example, it is possible to start monitoring with a delay of 5 minutes. Best security app ever. My old phone got a new life, and I got a strong home security. Thank you! A great idea, to use webcams to monitor employees. We installed HomeEye on our office computers, and I discovered that many of our employees are slackers. I have one IP camera, but it's not enought for surveillance in 3-room apartment. Home Eye was a real discovery for me. Now I use my laptop and my cheap tablet for additional security. We have versions for Android and Windows devices. Home Eye can be used in two modes: as a Camera (Monitoring, Detection and Recording), or as a Viewer (Watch video stream from the first device, remotely). So you can install it on all your devices: mobile phones and computers.